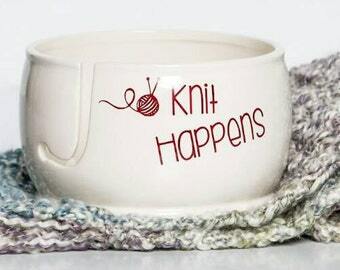 If you're looking for a funny yarn bowl that will bring laughter to the table, you are in the right place. Those that find humor, find peace. Enjoy a pottery yarn bowl from Creativity Happens. I hope it makes you laugh and brings you a smile because you deserve it. Bring this funny gift home and enjoy! 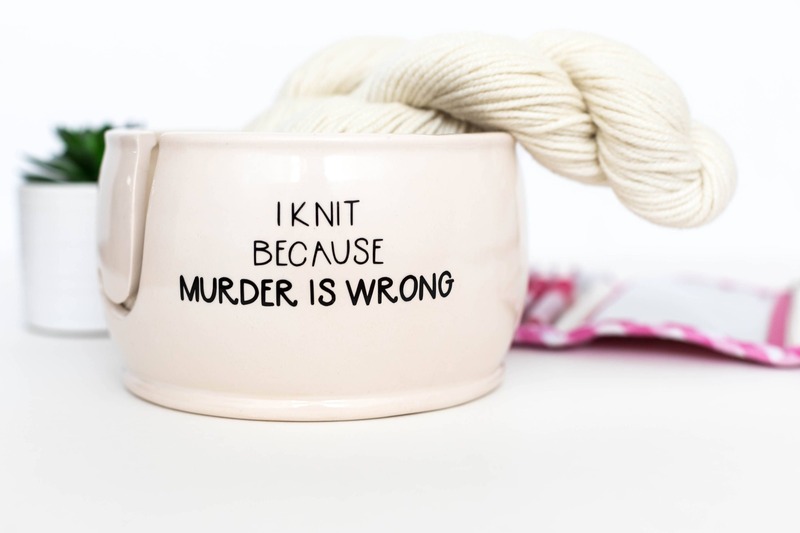 example: I Crochet because murder is wrong. Add name Sue on the bowl. Handmade in our Charleston, SC home studio we are a small business servicing a large community of knitting, macramé, crochet artists and even the weaving community. We design, cut and apply all our lettering with the highest quality vinyl. Leave a note during check out what you would like on your custom yarn bowl. I bought this for my sister for her birthday and she absolutely loved it! thank you! 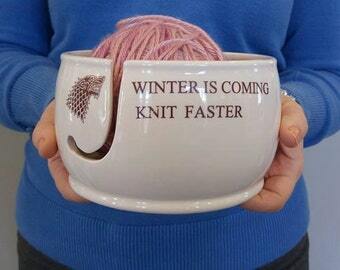 Love my knitting bowl! Thank you! Arrived quickly in the mail and exactly as shown. The recipient of the gift loved it!